Meatballs are a fantastic make-ahead option. The recipe below will make 3-4 dozen, depending on how large you roll your meatballs. 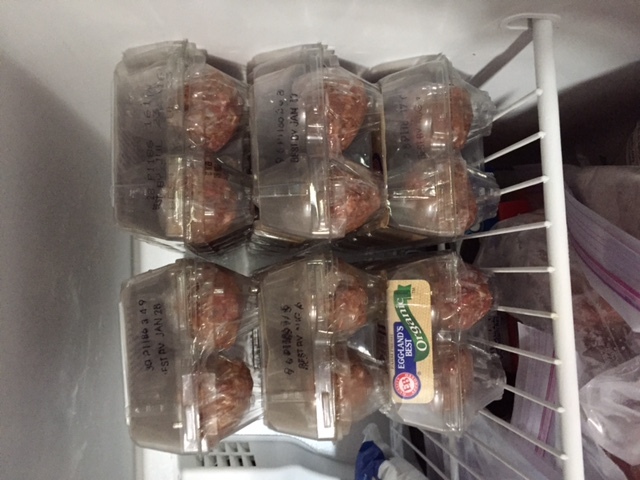 Save empty egg cartons – they are great for freezing your meatballs! 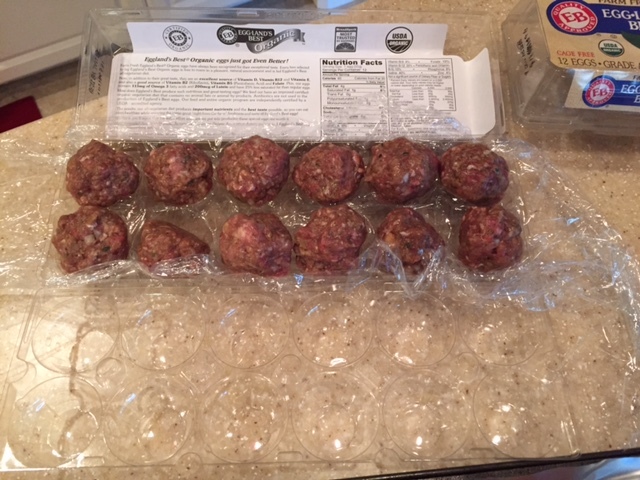 Line the egg carton with plastic wrap, put an uncooked meatball in each space, cover with plastic wrap, close the lid and pop in the freezer. No freezer burn, and they pull out separately with ease. Combine all ingredients and roll into balls. You can use them right away, or freeze as suggested above. I pop them frozen into the crockpot in the morning with a 28-oz can of crushed tomatoes and 1 tablespoon of Wildtree Spaghetti Sauce Blend, and they are cooked through and ready to eat at dinner time (30 minutes on high, the rest of the day on low). Starting out frozen, they don’t get mushy. Place meatballs in a baking dish. Combine 1 28-oz can of crushed tomatoes with 1 tablespoon Wildtree Spaghetti Sauce Blend and pour over meatballs. Top with shredded mozzarella cheese. Bake 45-50 minutes or until meatballs are cooked through. Serve over pasta or on rolls as meatball subs. If you have tried store bought gluten free breadcrumbs, you know they are hard and undesirable. I use gluten free millet bread to create my own breadcrumbs. Just break up the bread and process in a food processor until fine. Store in the freezer in a ziploc bag. They last several months.